For many us the idea of paradise is a tropical island, with palm trees, a warm ocean breeze, a waiter bringing you tropical cocktails and utter relaxation. Unfortunately sustainability and beach front, don’t always go hand in hand. With climate change, ocean pollution and limited resources protecting these tropical oasis can be difficult. That is why we have put together a list of five Islands that are fighting hard to protect their beautiful hideaways and the top green hotel on each one. 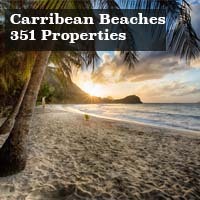 Grenada known as the “Spice Isle” of the Caribbean lulls you into the perfect mixture of rain forests, reefs and romance. At just 12 degrees North of the Equator this 21 mile long island keeps the perfect temperature year round with cooling trade winds staving off the hot temperatures. Rich in history, music, dance and tradition they are putting a huge effort into conservation as well. Several mangrove restoration projects are ongoing throughout the Island, as well as projects to protect bird species endemic to the island. 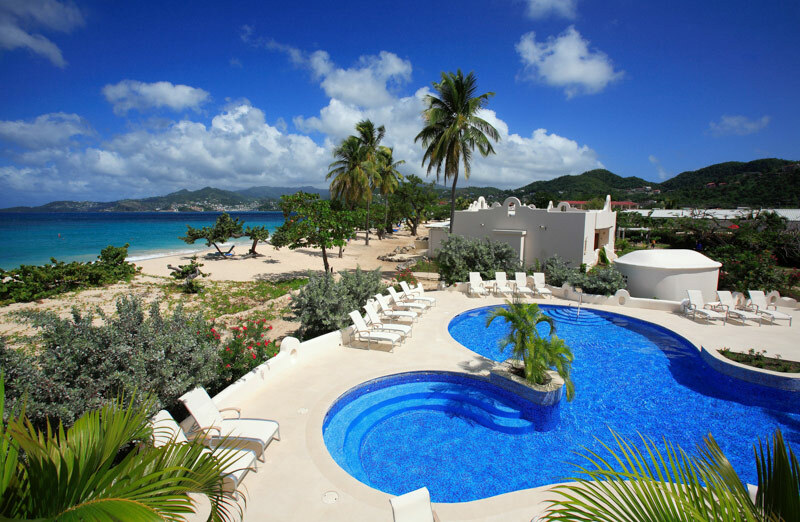 The Spice Island Beach Resort is a AAA Five Diamond Hotel that sprawls out over eight acres on the world famous Grand Anse Beach. A fully inclusive Resort that offers just about everything you might desire. Its also 100% smoke free. 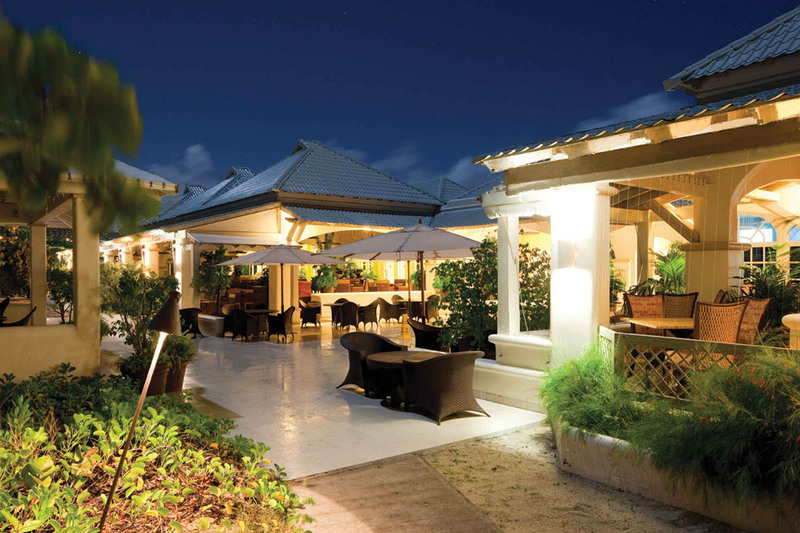 Savor exceptional island cuisine in one of their restaurants. Have fun on Friday nights while listening to a traditional steel drum band and enjoying a caribbean buffet. 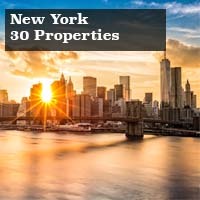 With unlimited tennis, golf and non motorized water sports as well as bicycles to roam the island and grounds you will get plenty of exercise at this outstanding property. 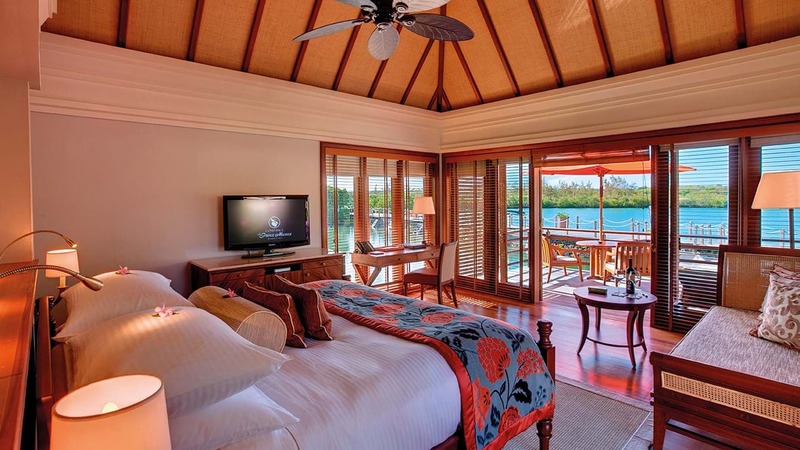 Many of their 64 rooms have private plunge pools, large gardens and epic views of the ocean. What’s even better is there on site kids club for children 3-12. So feel free to have a romantic beach day with your significant other while the kids are having their own fun. 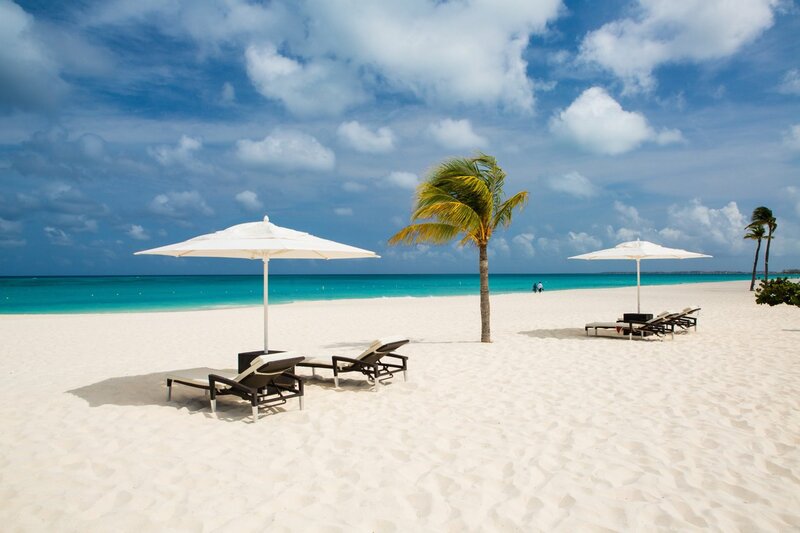 Aruba has miles of white sandy beaches, crystal blue waters filled with fish. A nature preserve with rare bat species, caverns to explore and lots of adventure. With almost half of the island being under conservation and a large portion of their power coming from renewables, Aruba is a very sustainable and nature forward type place. Nestled on one of the most secluded sections of Aruba’s Eagle beach is the Bucati & Tara Beach Resort. At Bucati & Tara they are as passionate about nature and beauty as you. 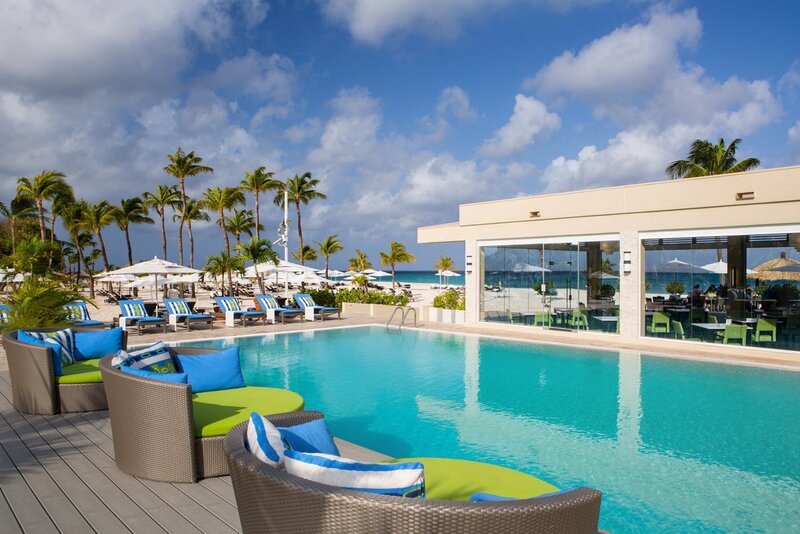 As one of the greenest hotels in Aruba and the caribbean they were also the first resort in the America’s to be certified ISO 14001. 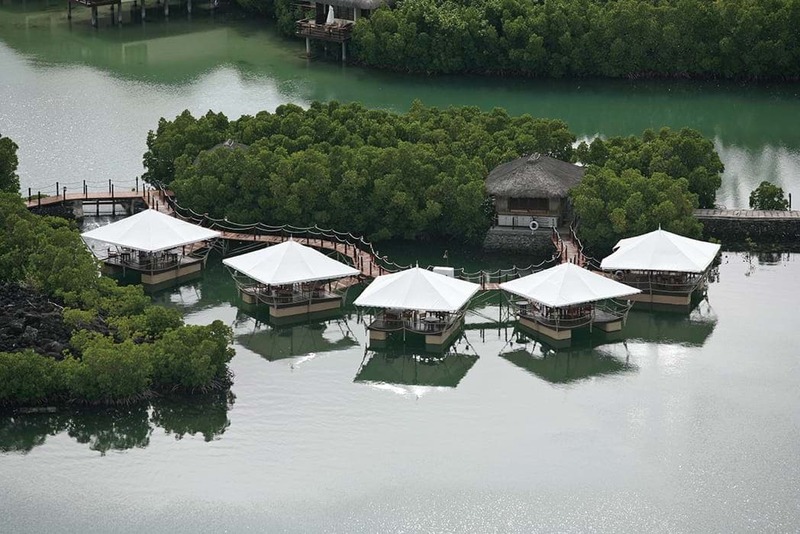 Going far beyond normal sustainable practices the resorts owner is a real visionary in sustainable tourism. They Strive to have the lowest energy usage per occupied room of all hotels in Aruba. They have on site solar generation for heating water and doing the laundry. Rooms all have water reducers on faucets, toiletries are locally made and bio degradable and the water from sinks and showers is reused in the garden. They also support numerous charities like the Aruba Donkey Sanctuary, Turtugaruba- turtle rescue and Animal Rights Aruba. The Seychelles are located in the Indian Ocean and have been a luxury retreat for Europeans for many years. 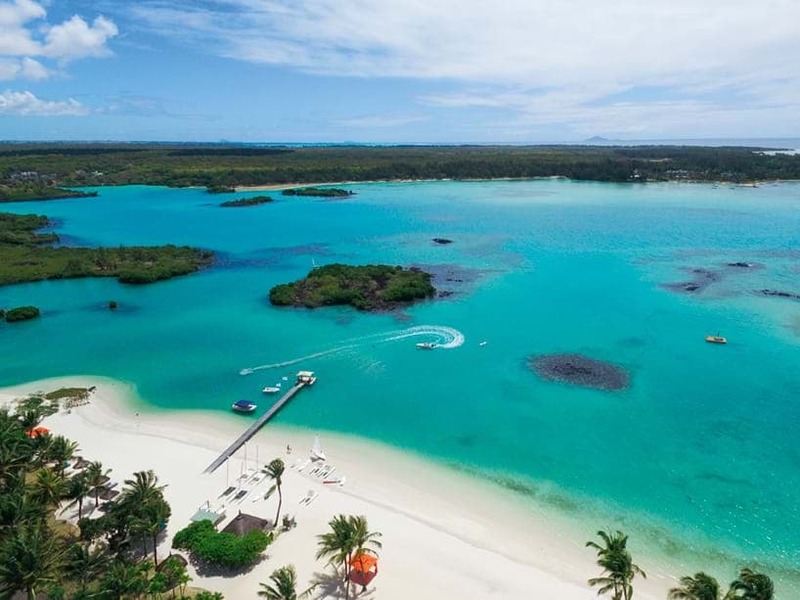 Consisting of 115 islands it is home to dozens of beaches, coral reefs, nature reserves, giant tortoises and much more. The Seychelles have also enacted a Sustainable tourism program run by the Seychelles Sustainable Tourism Foundation.This program links tourism with conservation efforts and has created its own eco label as well which has certified 17 properties so far in the Seychelles. With rising sea levels, and ongoing damage to coral reefs and fresh water biodiversity around the world the Seychelles are working hard to understand and mitigate damage from tourism and industry. 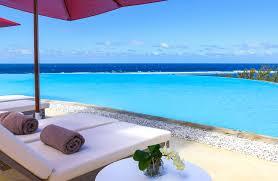 Enjoy elegant spacious suites and villas or unwind in swimming pools seemingly crafted by nature. Indulge in fine food and customised spa treatments at Constance Lemuria. 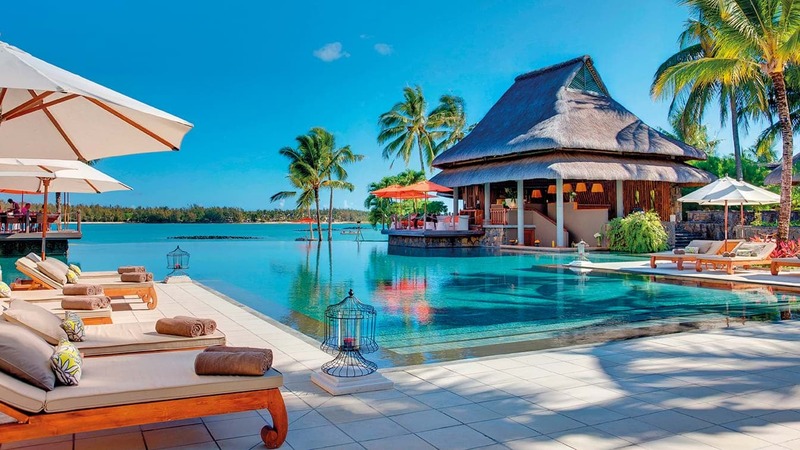 To create a cocoon of luxury amidst vibrant nature, materials such as wood, stone, pink granite, marble and thatch palm has been beautifully used to create a modern yet warm feel at Constance Lémuria. Seychellois’ flavours can be savoured in all the restaurants and bars of the hotel; the warmth can be felt in all the suites and villas. With world class golf, scuba diving and so much more. You will love The Constance LeMuria. Your kids will love the Constance Kids Club wonderfully staffed club that will take your children on island exploration trips, culinary activities, scavenger hunts and more. Reunion Island located in the Indian Ocean has peaks and lagoons set against a volcanic backdrop. It offers a flurry of landscapes, traditions and emotions for any visitor. With a multitude of natural and cultural treasures, welcoming residents, impressive cliff faces and wild natural formations. This island designated as a UNESCO World Heritage site has more than just idyllic beaches and lush forest it also calls to your adventurous spirit and love for our planet. In 2009 Reunion Island debuted the Reunion Island Sustainable Districts concept and the means to its realisation: which called to promote biodiversity, define resource use; improve public spaces and networks and creating an integrated development plan for the future. It's status as a World Heritage Site also encourages the proper management of its lands and resources for conservation and protection. 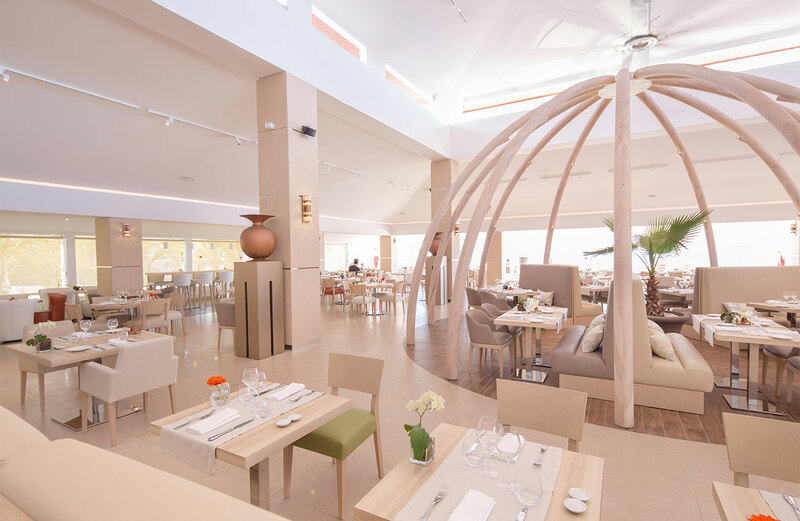 The AKOYA Hotel & Spa is seated right in the heart of 3 hectares of landscaped gardens, overlooking the superb white sand lagoon, and shaded by filaos and majestic black rocks. 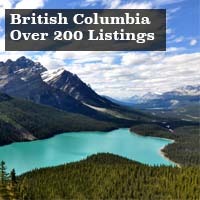 Horseback ride, mountain bike or explore on foot. You can even enjoy the lush landscapes by helicopter or view the island in a unique way from the handles of a paraglide. The Maldives are one of the most endangered places in the world. At the risk of rising seas and climate change that could potentially put the beautiful Island region under water by 2100. It is this fear that has spurred the government in the Maldives to act with a fervent effort to protect the Island paradise and its people. With their help all tourist resorts are completely autonomous, creating their own power and water. There are also marine and land zones that are protected from development. As one of the best places to Scuba dive in the world there are also strict regulations on handling coral and teaching divers to protect the fragile eco system. An award winning resort inspired by the tales of Robinson Crusoe. 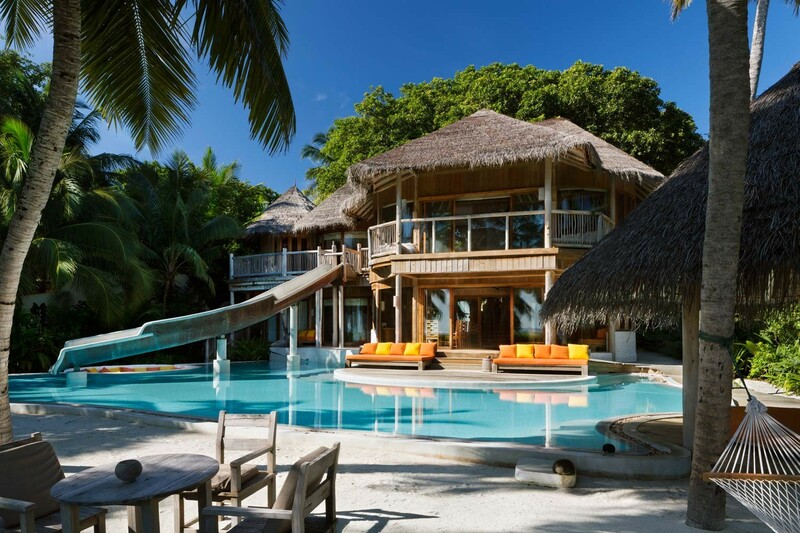 Located within the Baa Atoll Marine protected zone this nature inspired resort will have you never wanting to return to normal life. 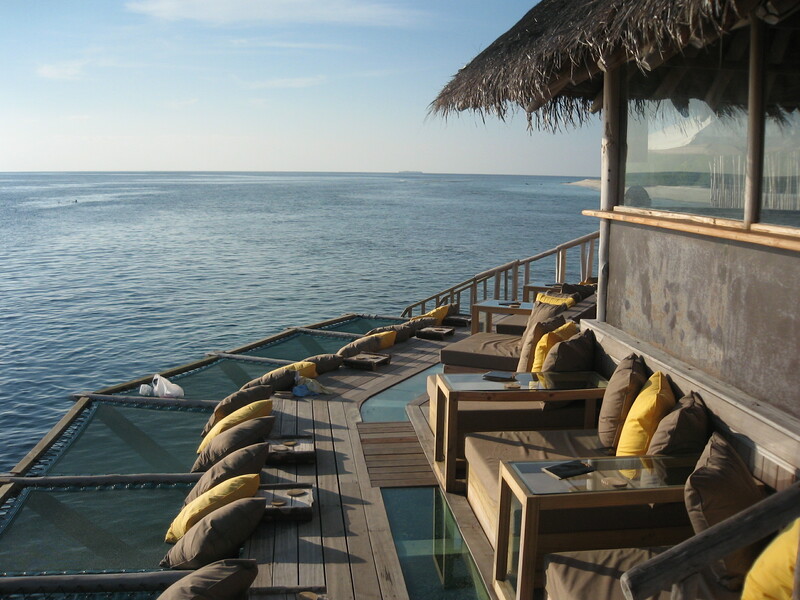 Unforgettable amenities, experiences, food & wine, the Soneva Fushi is certainly one of a kind. They also had a hand in getting the Baa Atoll recognized as a UNESCO Biosphere Reserve in 2011. 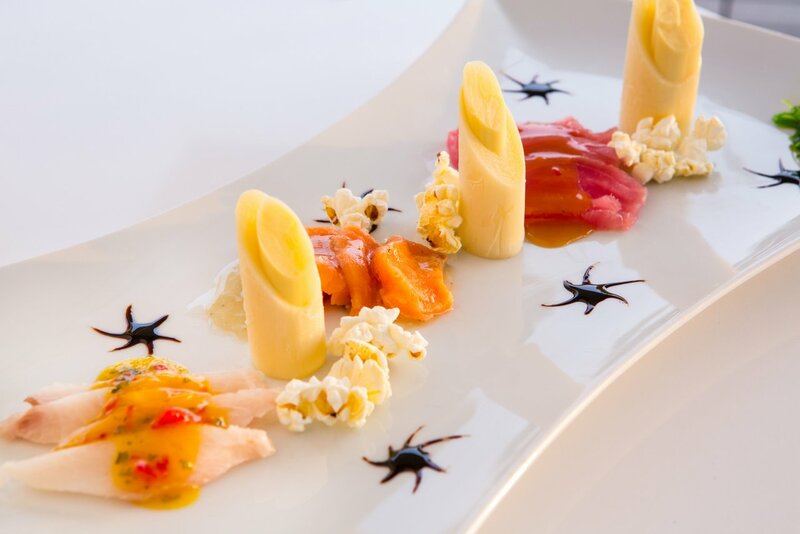 Out of this world dining and drinks. Dine on the beach with your toes in the sand. Indulge in local caught sashimi, fresh made breads, more than 60 flavors of Ice cream and so much more, or be whisked away by speed boat to eat traditional Maldivian food on an uninhabited Island. 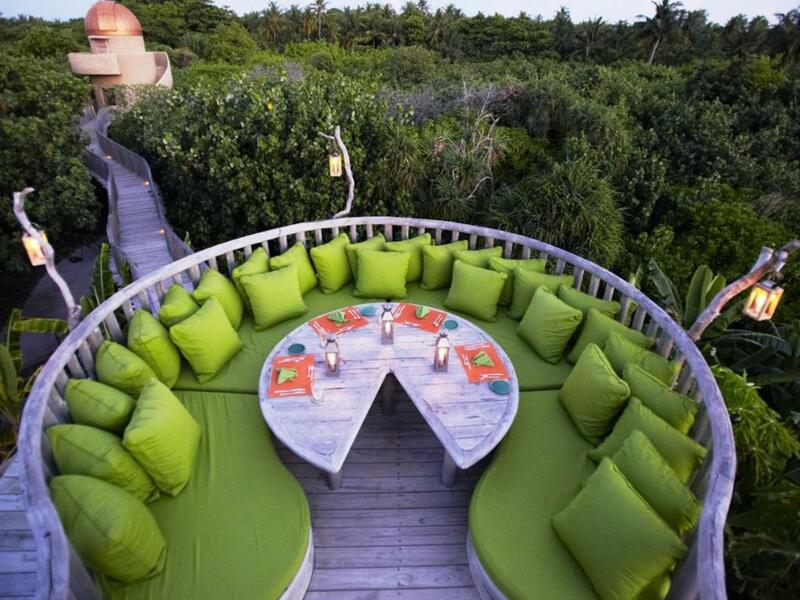 They also feature a wine cellar, a beach bar and a lounge with hammocks suspended over the ocean. The owners were amazed by the amount of stars that could be seen with the naked eye and installed a state of the art telescope Where you can see the plough of Saturn, count the moons on Jupiter or just look at the Milky Way. Watch a movie at the open air beach side cinema on site. Surf, fish, paddle board or have dinner or breakfast aboard a boat on the majestic waters around Baa Atoll.If you want to get around on this private island, you can use the resorts bicycles or electric buggies if you don't want to walk.